Many methods are used in Estate Planning including Wills, Trusts (Living or Revocable Trusts or Inter vivos Trusts), Irrevocable Trusts, certain Bank Accounts, Insurance Policies, among others. 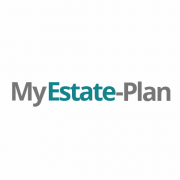 MyEstate-Plan.Com is your site to learn about estate planning, care for your family and friends, and create your estate plan. MyEstate-Plan.Com was designed to put clients and potential clients first by educating, providing resources, and of course providing excellent legal service. Estate Planning is a complex area and we will guide you in effectuating your wishes. William Daniel Powell is a San Diego Estate Planning Attorney and blogs regularly on subjects relating to Estate Planning, helping families and individuals with Estate Planning needs. We are Estate Planning attorneys in the San Diego area. Wills, Trusts, and other Estate Planning instruments are chosen depending on the client’s wishes and the nature and extent of the estate. The MyEstate-Plan newsletter covers a variety of subjects including law and other current events and how certain aspects of our lives are affected by the law.